These are great. I love that they make the view of the city from my building look so immediate and detailed. I can read buildings far away and watch people talk on the street. These are easy to hold and operate, but they work well and as described. 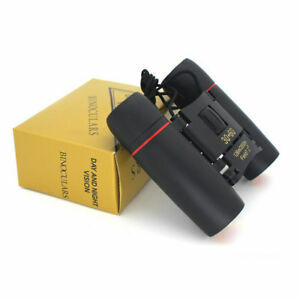 I like these binoculars and recommend them at the very least for having some fun looking around. Many people keep saying the right lens is cloudy but fail to realize there's a middle adjustment, and then the right lens has an adjustment as well on the eye piece. They're not bad and good for the low price you pay. If you want them for bird watching, spying on your neighbor, or just general browsing across the yard, or street, then these work great for that, but don't except to watch the moon or anything else haha. Lightweight, good features, were easy to adjust & handy to fold up & store. Just what I needed.